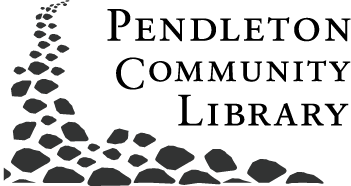 The Pendleton Community Public Library's Read 'n' Feed project is a combination bookmobile / food pantry that visits our neighborhoods every Thursday. Each Thursday, the trailer makes three stops in Southern Madison County. During each 45-minute stop, you are welcome to board the trailer to take advantage of all that it has to offer. The trailer has basic library services and materials such as adult, teen and kids books, magazines, DVDs, music CDs, and books on CD. The trailer also has an assortment of non-perishable food, including canned and boxed goods, milk, bread and fresh fruits and veggies. During the growing season, the fresh produce is provided by the Pendleton Community Garden. Patrons wishing to use the services on the trailer simply need to provide their name and address. You are then welcome to take 10 food items of your choosing. No gimmicks. No catch. No questions asked. We are grateful to all Read'n'Feed Sponsors, including United Way of Madison County, South Madison Community Foundation, Kroger, Needler's Fresh Market, Friends of the Pendleton Community Public Library, The Township Trustees of Fall Creek, Green Township, and Adams Township, the Pendleton Farmers' Market, and many generous private donors. We wouldn't be on the road without you!